Soft hands, strong hara further reflect spiritual equilibrium. Good manners and reasonable behaviours that refrain from unseemly arguments not inflaming conflict enhance the heaven and earth balance. 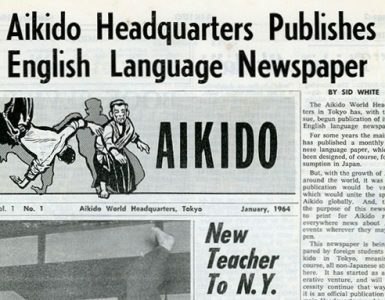 Strong at the core and accommodating at the perimeter is Aikido. Not only as dojo practice but also as a universal principle. Unskilled dilettantes reverse that and thereby reveal their status. I can’t put it more bluntly to make clear what to correct. Top heavy use of force is bound for a fall. This applies to everything. Without a foundation even the best house cannot stand, but merely makes itself an inconvenience until it fails and falls. This in all things. You cannot have “heaven” without “earth,” or vice versa. Yin and yang are mutually reliant and mutually inclusive opposites that ultimately mutually enhance. Simple principles of existence when applied, serve well. It is preferable and more sustainable to trade good, services and cultural wisdom than bullets, bombs and devastation. Either path has a tendency to escalate towards a logical conclusion. The choice, if we love future generations, is a no-brainer. 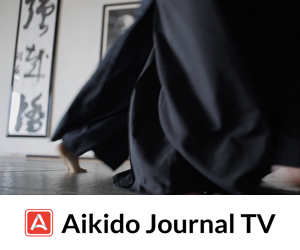 The practicality of training Aikido calls upon universal principles to refine itself and transform the practitioner. This cannot be bought or faked but must be earned. There is no other way possible. The ancient Minamotos were horsemen. To be able to stay on a horse in battle and for long hours it necessitates letting go of certain excrescent predispositions that have become the habits of the arrogant, clumsy, hairless ape. Such as top-heaviness, the use of force, strong hands ruled by a weak centre, lack of mental, moral and physical balance, tight clothes, sloppy breathing habits and all those things that run counter to the great harmony that rules and guides the universe. We need to become restored to the true condition of the human, largely lost over aeons of bad habits which have brought the planet, its life supporting systems and things of vital importance to its knees in the ways that matter. You may deny, rant and gibber all you want. The universe will not change one sub-atomic particle to anyone’s opinion. We can rally and destroy ourselves, or we can yield to factuality, learn a lesson or two and get on with the business of thriving. Nature’s economies will not carry parasites. Or those choosing deceit. For the body-mind connection to reintegrate, certain conditions must be met. This is the beginning of human restoration. Chasing after temporal things is not going to fix anything, rather add to the problems. 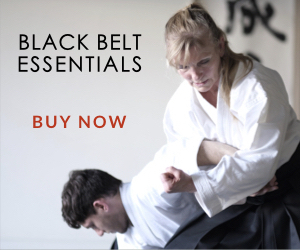 Aikido training is not an arbitrarily invented “style” made up just to be different. Nor is it a “belief system to be imposed. Rather it is a means that can teach us to notice things as they are. This comes from the observation, articulation and implementation of the laws of the universe through the human being and therefore, over time restores the operating system. All it takes is regular movement redesigned to reconcile force. The benefits can only be earned and there is a lot of letting go of false values and “perceptions” and “views” on the way. Only factuality can sustain. Take it or leave it. That’s the way it is. As I said, the universe is not going to change to accommodate mental illness. We have to let go of the diseased state and embrace the harmony as it is and no other way. The universe will not compromise because we think we love Jesus or something, and that somehow such an idea will absolve us of incorrect activity. It won’t. Look around you. It hasn’t. It will continue not to until we correct our minds, hearts and actions. The way we move is a key working tool in this direction. 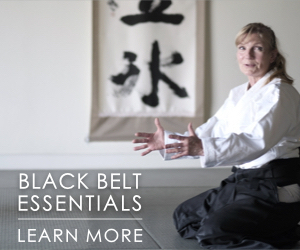 Finding Aiki is the key that unlocks it all. Soft hands and strong hara, weight underside, breathing naturally flowing, balance, both feet on the ground are training tools. Simple things that when meeting challenge, such as an attack, can serve to align you with harmony and the movements of nature when complied with. Or the opposite when not. There is no other bridge between heaven and earth than the human being. But before it can act as such a bridge and connecting conductor of opposites, instead of a mere obstruction inviting to be flushed out, it must first correct itself. This will not be handed out by mythological figures, but has to be earned by each living individual. Or not. It’s entirely our choice whether to prioritise what matters, or trivia. In the end, we judge ourselves by what we placed first. Entering the flow of harmony or running counter to it. Nature does not care. God will not interfere. We have the tools. The choice is entirely our own. Until we learn to heal and restore the body-mind connection in its entirety and make this a priority of human life, our doings will continue to reflect the dysfunction that prevails. In the meantime it is something you can neither hide nor fake but which whips you and those around you. The attrition of current human existence is telling you something. There is only one place to start making corrections and that’s with youself. I don’t believe that whimsical deities “make us in their image so they can derive glee by “punishing us” on an arbitrary “day of judgment.” We are obviously defective or at least incomplete. This speaks of the so called “image” of a would be maker who would then be defective and incomplete as well as a psychopath who enjoys inflicting meaningless pain and suffering. It does not resonate with either reason or logic or anything else. More likely it is, that we can choose to awaken to conditions as they are, and learn to use them well. Creation with all its tools is laid out for our use or misuse. And we reap the rewards of action commensurately. To the extent that we have done so myopically, greedily and partially, whether by neglect or volitional abuse, we have created increasingly worse disasters and are heading towards manufacturing our own cataclysms of global proportions. The same intelligence can be used otherwise, to make better, improved conditions by learning about the application of harmony. Heaven on earth, if you will, through the refinement of all sciences and arts include social ones. When our thinking is clear then our actions will follow. It’s not our rhetoric that speaks of who we are, but our footsteps and actions and the direction whence these lead. Actions are impulses taken to their conclusion because of thought, intention and thinking. When we clarify our thinking and feeling then the actions and restrain that follows will reflect that thinking. Opinion requires endless resources to back up error, such as money. Lies require more lies to hold them up like a house of cards built on sand, which a faint zephyr can demolish in an instant. When constructs such as money, reflecting attitudes, run out, real resources follow and we are then called upon to again look within and exercise our own faculties wherewith to see clearly because there is no more backup of credit to subsidise error. The economies of nature and the universe, billions of years old, contain the wisdom of experience in what works. They are not based on opinions or arbitrary temporal theories, but simply what works and will continue to work. The overriding principle is a solid core and balance, integrity in both actuality and predisposed attitudes; and an accommodating perimeter. We, as species, would be well advised to take heed. While we are still in a position to do so. And then as a collective of functional individuals, learn to live accordingly, thereby ensuring our sustained existence. I’ll stick to watching my stance and posture. Got to watch out. Isn’t proselytizing a state of unbalance? A few years later on I will draw a difference between proselytizing, which I take to be a form of salesmanship, and attempts to describe that which lacks much in the way of physical characteristics. I remain committed to posture, stance and balance. 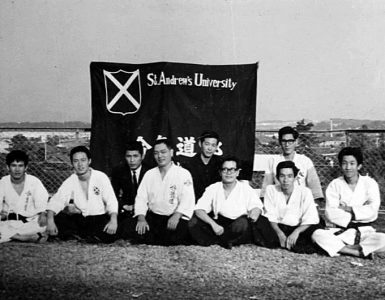 I saw Osawa Sensei once early in my aikido training and that lesson stuck. I’ve been using it as a measure of my work since. Always enjoy reading your writings/sharings! Very clear perception! Hard to write about this stuff! Strong at the core (yang); soft at the perimeter (yin/harmony). Without that core we are relativists and sheeple. Without that soft perimeter we are tyrants and abusers. Core is our integrity or lack of it; perimeter is how we handle everyday situations and choices, whether we harmonize with them or block or smother them. Perhaps children are our role models here for both strong centers and accommodating behaviours (well, healthly children anyway). Example: you invite your partner to go out to dinner. Hoever, he or she wants to go somewhere you particularly don’t like. Instead of arguing about where to go, you accept your partner/friend’s chioce, happy just to be with that person. Opposite would be to get into a big argument about it! Where to eat is a perimeter matter. Your attitude about where you are eating is your core. Losing patience or getting upset is a weak core. Keep those articles coming! Thanks! Great article, I really enjoyed reading it. 100% agree. It took me years to finally figure out might was not right. Funny thing was, as soon as I started to not use force, my Aikido became so much more powerful. The small stature of the great Aikido teachers that we have seen, past and present, is testament to this. Yet many people refuse to see. Pearls to swine they say. If you do not wish to see or acknowledge the truth, you will not. I have met so many people who believe physical strength, hard atemi, or trickery is the true path. This belief is so strong that even as I am able to throw them and hold them down with ease, no matter how hard they try, they refuse to change their perspective. Life is a process and it takes time to evolve, and I am a slow learner. Good luck to us all as we move onwards and hopefully upwards. Just try once not to use physical strength and instead focus on proper posture, technique, body movement, and the use of Ki. 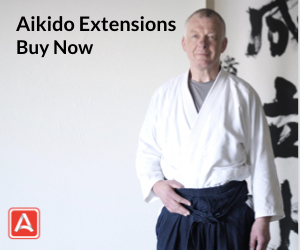 You may be amazed at how easy and powerful Aikido can become. What have you got to lose? It is just a change of mind and attitude, something we do everyday. Looking forward to reading more wonders from you as time goes by. Now my question is where is the limit between harmonizing and giving up? Brett, you say that you invite your partner, he/she wants to go somewhere you don’t like. I agree with you, accepting means there won’t be any argument, but does it not mean that you give up then? To talk about “giving up” is to think win/lose. Terry Dobson wrote a very special book called “Aikido in Everyday Life: Giving in to Get Your Way.” That’s the idea!